The Top Four: The top four push reel mowers are the Brill, Fiskars, NaturCut, and Silent Cut. One of these four will suit your mowing needs with a lawn of 10,000 square feet or less. 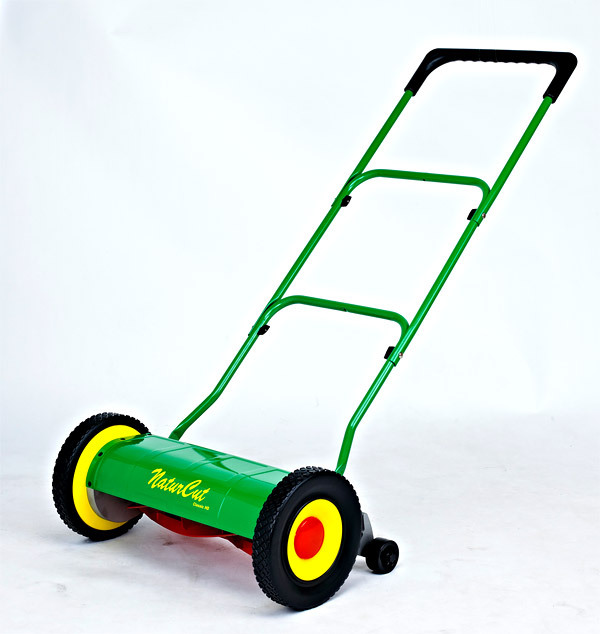 The Brill mowers are the lightest and smallest mowers. The Fiskars Momentum weighs about 42 lbs but cuts right to the edge of the mower. 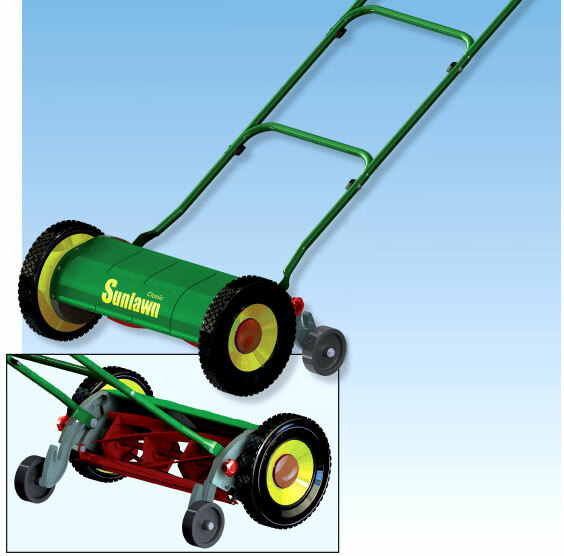 The NaturCut are the second lightest mowers and cut from .6″ to 3.5″. The Silent Cut push reel mowers cut the best of all and weigh between 38 and 45 lbs depending on the model. Mowing Habits: Your mowing habits will determine which mower is best for you as well as the type of grass you have. For those mowing Bermuda or Zoysia, one of the Silent Cut models will work best for you. 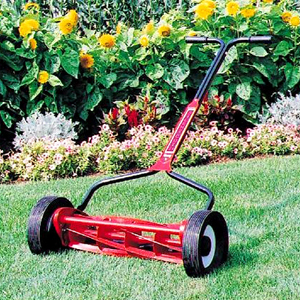 This is because it has six reel blades necessary for cutting Bermuda or Zoysia. 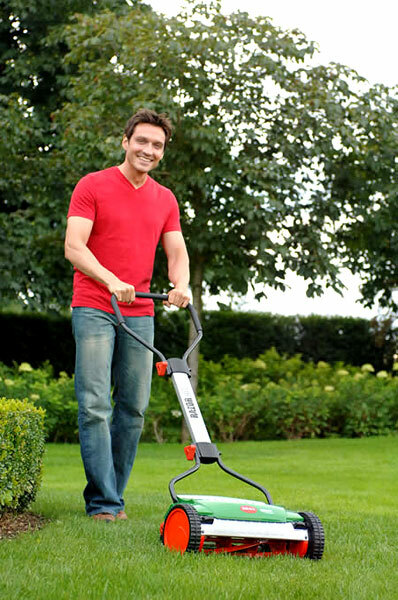 If you will mow regularly when the grass reaches 3″ high, the Brills would be a good choice. Brill mowers can cut up to 1.8″. If you want to cut higher, the NaturCut offer a wide range of cutting heights. And the Fiskars does as well, cutting from 1″ to 4″. Check These Out: So when you are considering a reel mower, check these four out. Happy reel mowing! Rebuilding Brill Batteries: When we launched this program of rebuilding Brill Batteries we were not sure how popular it would be. These are the batteries used in Brill Accu 38 electric reel mowers, Brill ASM380 reel mowers, and Brill Accu Trimmers. But after two weeks, we can tell it is very popular. So keep those old Brill Batteries – they are worth something. 2.2 Ah or 3.0 Ah: The Brill Battery you have is a 2.2 Ah, and we can rebuild it so it is better than it was when new. Or we can rebuild it to 3.0 Ah which is 30% more powerful and runs 30% longer. Remember: Don’t throw old Brill Batteries out! We can also rebuild other batteries, just not lithium ion ones. Rebuild Brill Batteries: We are very pleased to announce that we can now rebuild Brill Batteries that have lost their charge. 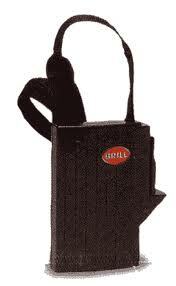 Two Recell Options: We offer two recell options for the 24V Brill packs. They are either our standard capacity 2.2Ah (or 2200mAh if you prefer) nickel-metal hydride (NiMh) cells or 3.0Ah NiMh cells. From what I can glean from the part number on the cells of the Brill pack we serviced last week the OE capacity is 2.0Ah via nickel-cadmium (NiCd) cells. Two Services: Either one of our services would provide a run-time improvement over the OE pack. Additionally, since we recell the packs using NiMh cells they are more environmentally friendly to manufacture and do not suffer from charge memory effects that NiCd typically do. The Cells: The cells we use are made to our specifications to be high-drain cells, meaning they are designed to take high loads for a sustained period of time (ours can take a sustained 10X cell capacity load). Basically this means the cells were made for a high-drain use in mind (ie. power tools or in your case lawn mowers which need peak torque output) and are not typical cells which would be used for low power electrical devices (cordless phones, etc.). Supply of Brill Batteries: As the supply of Brill Batteries has run out, this is great news. Save those old Brill Batteries! 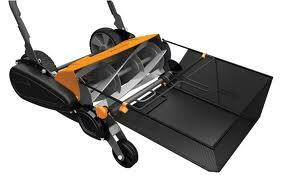 The Long Awaited Grass Catcher: The Grass Catchers for the Fiskars reel mower are in. These Grass Catchers made for the Fiskars lawnmower are easy to install and simple to use with convenient handle for easy emptying. The Grass catcher can hold up to 1/2 bushel. UV resistent: The Fiskars Catcher is UV resistent and built to last a long time. The catcher comes with a solid frame. 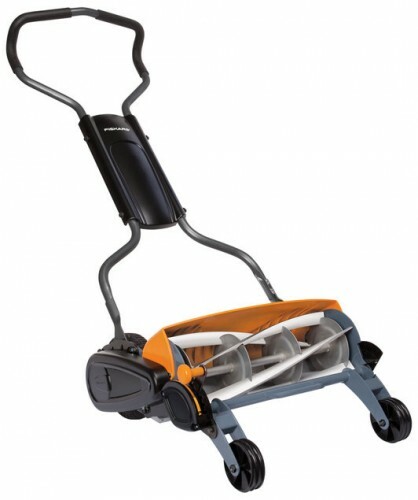 The Fiskars push reel mower features best in class heigth adjustment of 1″ to 4″. The catcher is an easy tool free assembly. Fiskars Momentum – Blade sharpening: Regarding sharpening the blades or the the Fiskars Momentum Push Reel Mower. With further investigation & testing, we are now reversing our opinion re: blade “sharpening”, saying “Fiskars does not recommend sharpening the Momentum™ reel mower. The equipment and processes used in home sharpening kits, and even by many professional sharpeners, will likely not be able to achieve the strict tolerances required to maintain the non-contact nature of the cutting system. In the unlikely event that the blades on a heavily used Momentum™ manual reel mower begin to show signs of dulling, Fiskars recommends backlapping to restore the blade edges.” To “backlap” the Momentum™ reel mower, an abrasive lapping compound is applied to the blades with a brush and the reel is spun backwards via a special hand crank until the blades are smooth and sharpness is restored. While existing backlapping kits for reel mowers can be modified to work with Momentum™ push reel lawn mower, Fiskars is developing a custom kit that will be available in late 2011 or early 2012. The Fiskars kit will include a hand crank designed specifically for the Momentum™ mower, a lapping compound ideally suited for the Momentum™ mower’s blades, an application brush and clear, easily followed instructions. Length of Time Before Sharpening: How long should the mower go before blades need to be sharpened on the Fiskars Momentum reel mower? They can go years, do to the non-contact blade system? Under normal usage the blades should remain sharp for the life of the mower.